When in the Edit Desks Mode, adding a desk will allow you to place a bookable 'Desk' panel on the floorplan. Every desk added to a floorplan in this mode will be added to the project database and can be accessible through other interfaces as well, like in the 'Employee Details' form. Enter the Edit Desks mode by selecting the 'Edit Desks' option from the edit button at the top right of the screen. Click the 'Add' button in the top toolbar. 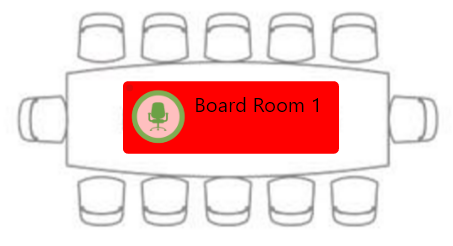 The new Desk Panel will appear at the top left of the floorplan. Click and drag to resize and position the 'Desk' panel on the floorplan. Press the 'Save' button in the top toolbar when you are finished in Edit Desks Mode. This will confirm changes made.